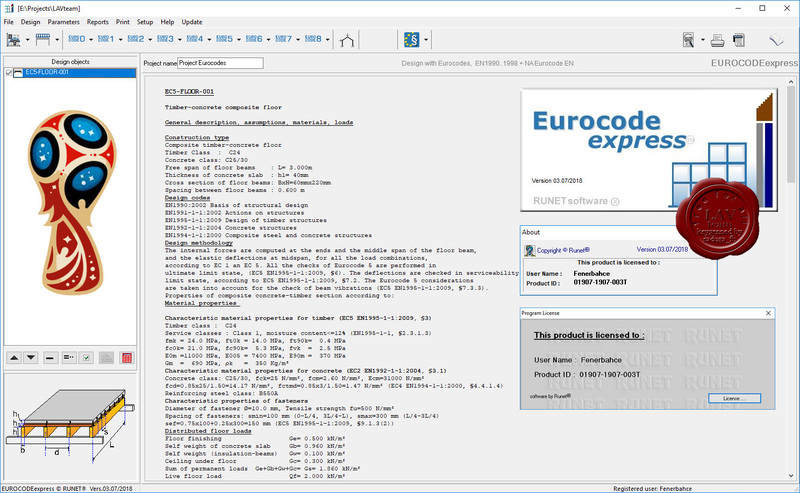 EUROCODEexpress is an integrated and comprehensible software including all the structural Eurocodes. It is a work and studying companion for all the Eurocodes, from Eurocode 0 to Eurocode 8. A complete package, and source of information on designing and understanding the Eurocodes, and the National Annexes. The program is built up from groups of components based on the structural Eurocodes. You can design structural object based on the different eurocodes, select National Annexes, adjust parameters, and do design and analysis of frame 2D-structures. Design charts and graphs for use and understanding the Eurocodes are included. A detailed design report is produced for the designed structural components. Assumptions, graphics, references to the Eurocodes and the National Annexes are shown in the report. The user can select the applicable National Annex. Design code parameters, material values and default values can be adjusted.